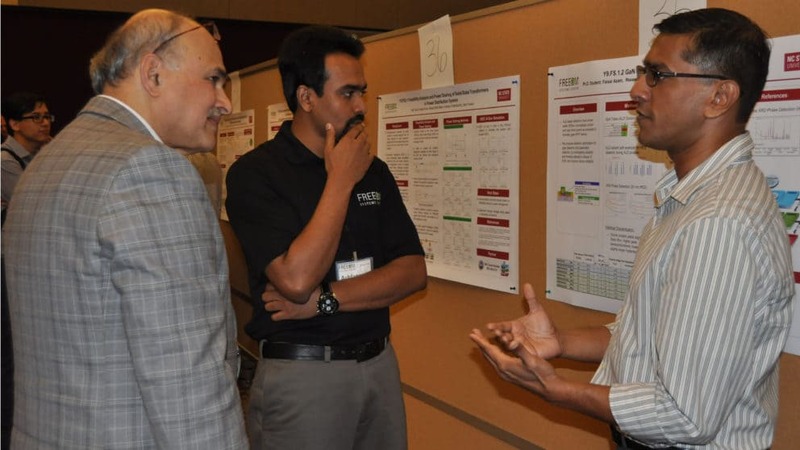 A member of the NSF Site Visit Team discusses a poster with several FREEDM students. As an Engineering Research Center funded by the National Science Foundation, there is an annual “exam” before a panel of outside experts who review the Center’s research progress and program performance. FREEDM is happy to announce that the NSF Site Visit Team (SVT) unanimously recommended to continue funding the Center for another year. Every Engineering Research Center (ERC) undergoes this type of annual review. The process begins weeks before the actual review date with the preparation of an annual report. This two volume document summarizes every project task and every Center program for the past several years with a focus on the most recent year. In FREEDM’s case, the Year 9 Annual Report totaled 830 pages over two volumes. 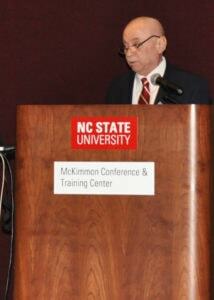 The actual review was a day-long event held at the McKimmon Conference Center in Raleigh on May 11. NC State Chancellor, Randy Woodson, welcomed the SVT and restated the importance of FREEDM’s research for grid modernization. 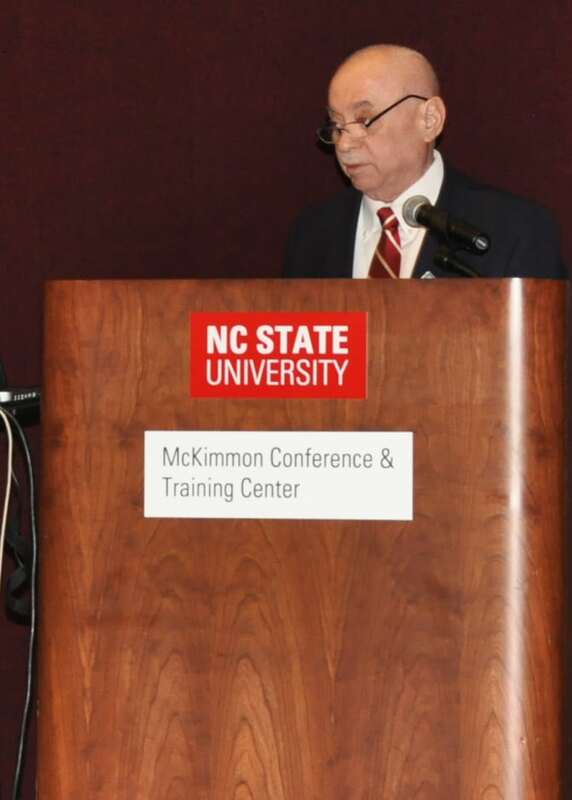 The Dean of the NCSU College of Engineering, Louis Martin-Vega, also voiced his continued support for FREEDM and its mission. Then followed a series of presentations from Principal Investigators and Program Directors to summarize the annual report and answer specific questions. Descriptions of each research thrust are located here. The review concluded with a student led poster session and several lab demonstrations. There are more details on the lab demonstrations here.